An organization called Friends of Animals launched a lawsuit against the U.S. Fish and Wildlife Service, asking for the agency to give a herd of non-native, feral horses in Montana protection under the Endangered Species Act. 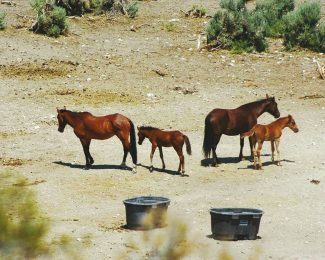 FoA is proceeding with the lawsuit despite the fact that rapidly exploding feral horse populations are starving on the range, damaging Western landscapes, and causing irreparable harm to native flora and fauna, according to the Public Lands Council. "The organizations pushing ill-conceived actions on feral horses are willfully ignoring the facts," said Dave Eliason, president of the PLC. "The science is crystal clear: There are no wild horses in North America, and haven't been for 10,000 years. 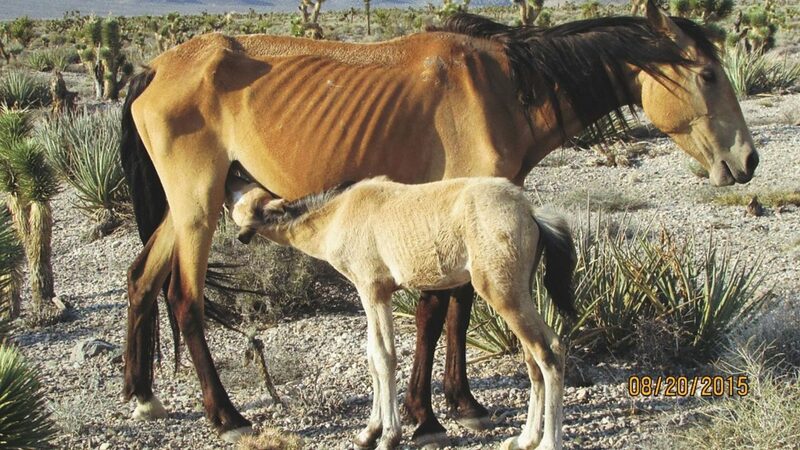 If we continue to allow the least informed among us to lead the debate, the plight facing these feral horses will worsen and the health of our rangelands could be lost beyond repair." The animal rights activists announced the lawsuit in a bid to make the Montana feral horses the first group of wild horses to be protected under ESA. This is not the first attempt for activists' groups to try and get wild horses on the ESA list. A prior attempt just last June failed, in part because of a technicality. A petition to list the horses was rejected because the group submitted it to the federal agency without first notifying Montana officials. Attorneys for FoA are arguing in the lawsuit that the U.S. Fish and Wildlife Service violated federal law by failing to act on last June's petition, and are asking Judge Susan Watters to respond to the petition within 60 days. "The Endangered Species Act requires the government to consider our petition and make an initial decision on it within 90 days," said Jennifer Best, associate attorney for FoA's Wildlife Law Program. "However, a new rule regarding the petition process that went into effect on Oct. 27, 2016, chips away at the Endangered Species Act by requiring the public to submit petitions to state agencies first, delaying the timeline and standards for listing threatened or endangered species. FWS relied on this new rule to reject Friends of Animals' petition to list the Pryor Mountain wild horses." Two years ago, federal wildlife officials rejected an ESA wild horse protection proposal that spanned 10 states, from the same group. Officials determined that there were no differences between wild and domestic horses. According to the Connecticut-based group, the listing is warranted, because this horse population is "genetically unique." According to the activists, the approximately 155 horses, on the Pryor Mountain Wild Horse Range just north of the Wyoming border, are descendants from the mounts of Spanish conquistadors who came to North America in the 1500s. FoA director of wildlife law, Mike Harris, said the Montana mustangs are more unique, because they have been isolated. "It's able to trace its lineage back to some of the earliest wild horse herds and some of their unique markings and characteristics," he said. "We're going after those herds at most risk." But critics of the FoA lawsuit say that argument does not warrant a listing, but instead just shows they are in fact feral descendants of domesticated horses. The horses in the Pryor Mountain range are scheduled for a roundup this year, according to officials. The herd is on the list for downsizing to prevent overgrazing, hence the push from FoA for a speedy response from the courts. Best said the 90 to 120 horse management plan on the range is far below what is necessary to maintain a viable population to preserve the lineage. The Pryor range was created in 1968, just three years before the federal Wild and Free-Roaming Horse and Burro Act was enacted. The wild horse population across the midwest has exceeded the act's goals, with over 60,000 horses on 50,000-square miles. To date, there are more than 45,000 wild horses held in government corrals and pastures, costing taxpayers $50 million annually. To date, under the 1973 ESA legislation, there have been no horses listed for protection. The 1971 Wild Free-Roaming Horse and Burro Act gave the animals federal protection. While it originally gave the interior secretary the final decision on selling and euthanizing unadoptable animals, animal rights activists have successfully nixed the latter. Congress has used annual appropriations bill riders to prohibit the killing of horses in the U.S. and prohibits the sale of wild horses for commercial processing, including for meat. The last U.S. horse slaughterhouse closed in 2007. The spending bill negotiations last month included horse slaughter discussion, but wild horse activists succeeded, and there is still no solution to the ever growing population. According to BLM, there are 46,000 wild horses and burros in corrals and 73,000 others run free in western states. That's nearly three times the 27,000 animals the act was designed for. American taxpayers pay for the costs of the BLM's Wild Horse and Burro Program. This program has continually increased in cost over the years. The horses and burros removed from rangelands and placed in holding facilities cost taxpayers about $50 million annually. For a horse that remains in one of these facilities for its entire life, the cost can reach $50,000 per animal, according to the National Wild Horse and Burro Rangeland Management Coalition. The BLM spent $78.298 million on the horse and burro program in fiscal year 2016. This money was used to remove a small number of horses from the rangelands ($3.1 million), adopt out approximately 2,000 horses ($7.3 million), and care for horses and burros in long- and short-term holding facilities ($49.4 million). Costs continue to increase every year, and horse and burro populations continue to grow. Proponents of horse slaughter, including State Rep. Chris Stewart, R-Utah, describe "humane euthanization" as a last-ditch tool for controlling an escalating equine population that is degrading public land and causing horses to starve. — Eatherton is a freelance writer from Beulah, Wyo. When she's not writing, she's riding her horse or playing with her grandson. She can be reached at teatherton@msn.com.